As many of you know, I like to focus on living artists in my curriculum because I feel it creates a stronger connection with my kids. Instead of just looking at dead guys, we look at what men and women from all over that are making in today's world. This allows my classes and I to get feedback from the artists we study, too. We have gotten letters and emails from artists that share stories, processes, and words of encouragement to the kids. This connection is cool enough, but sometimes the artists even send prints and artwork our way! These pieces are hung in the room and many are used as rewards for good behavior. Zamo does a "caught you being good" thing, where kids earn tickets that go into a prize drawing in the individual classrooms and schoolwide. I do it in my classroom after each school rotation I complete. Students that have their names drawn can pick any poster that artists have donated. Anywho, in the packages were the below prints. Signed and numbered to boot. I can't wait to see what kids are going to be able to choose these as rewards for rocking it in the art room. 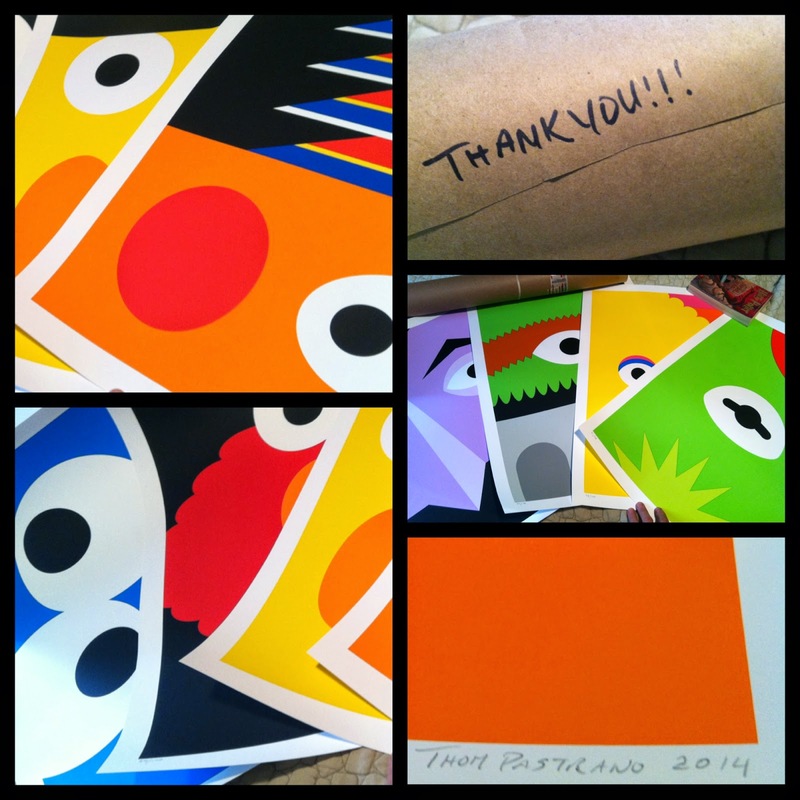 I am thankful and humbled that Thom and so many other artists reach out to us in any way. I'm not a spiritual person, but I do feel blessed to work where I do and all the connections I have made with kids, parents, teachers, and artists that have come from my time in this place, on this path. I am always inspired by the living artists you include in your lessons. Often times I am not familiar with them before reading your blog. Thanks for the education and entertainment! What a cool surprise!! Well-deserved -- I loved that project you did with your kids!! Yes, as Chris said, we really appreciate the knowledge you share with us too! I love these prints! I also love how open artists are about sharing their love of art with students!